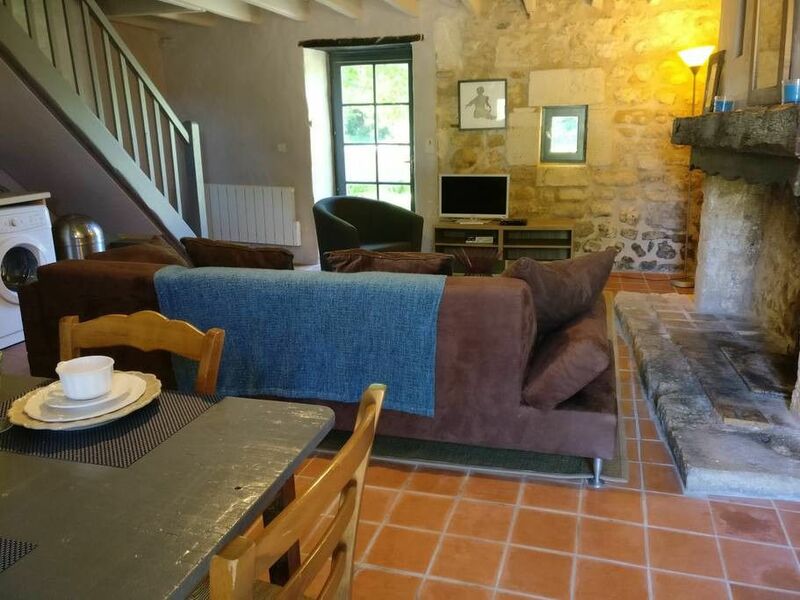 L'Hortensia is a delightful 2 bedroom gite on two levels facing north in a 17th century stone building. On the main level, l'Hortensia has an updated country feel, with a full kitchen, including dishwasher and Insta-pot. There is a large fireplace in a room filled with cozy, country style furnishings. The upper level has two-bedrooms and two 160 cm beds, all with white sheets and comforters. The private, walled garden has seating for four and a barbecue. We have fully renovated the private garden space behind this gite, with a gate to provide a safer space for children or pets. Seclusion near all the conveniences. A+++ for Mountboulard. Excellent accommodations! The beds couldn't have been more comfortable and the hosts were super helpful. We loved the proximity to town and the solitude surrounding the property. It was the best location during our entire 2 week stay and we were in four different locations! Thank you for an unforgettable experience. Wonderfully helpful hosts and the most comfortable bed I've ever slept in. Quaint stone house with tons of charm and privacy. Spotty wifi unless you're in the main lodge, dead spot with cell phone carrier. I had a great stay at Mountbulard. The Gite I stayed in was charming, even had a working fire place with wood to burn. The estate is beautiful and as the work continues on the gardens it will be magnifique. The location is ideal for sight seeing, only a short drive into Angouleme. The compound is very quite, and the beds are great. The hosts are wonderful, funny and very informative for things to see in the area. If you go to France, stay at Mountbulard. I plan to return with my brothers. Un cadre de charme pour ce gite correspondant totalement aux descriptifs annoncés. Belle découverte.